Lost Planet returns with the long-awaited sequel to the 2 million-plus selling action shooter! Lost Planet 2's all-new co-op feature allows up to 4 players to team up in Campaign Mode, forming new tactics and strategies to tackle situations that would be impossible alone.This new footage shows the 4-player co-op in action against a massive Akrid boss. 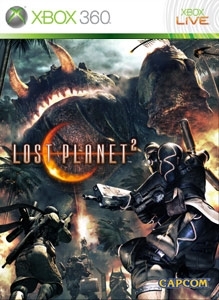 Join in the battle and check out Lost Planet 2's stunning in-game graphics by downloading this movie right away!